Too cold at home? Turn the temperature up! While it’s easy to think of heating and cooling as a simple matter of measurements on the thermostat, the truth is that your home’s humidity (or lack thereof!) plays a huge role in how comfortable you wind up feeling. It may sound a bit gross, but our body’s main cooling mechanisms use sweat—that is, the process of perspiration evaporating off our skin. Each water droplet takes away a tiny amount of heat when it dries. If there happens to be a good breeze going, it speeds up the process so you can cool off even faster. Essentially, what that means for your home’s HVAC is this: if your interiors are too damp during the winter, you might find yourself feeling much colder than the readout on the thermostat. However, you’ll also feel chilly if the humidity is too low, since drier air tends to hold heat less effectively. On the flip side, dry conditions inside can help you stay cooler in summer, because they’ll speed up that evaporation process. The humidity in your home shouldn’t be too high or too low—it needs to be just right (Goldilocks would approve). The right amount of moisture in the air can actually improve the effectiveness of your heating and air conditioning—and it’ll shave a small chunk off your utility bills, too. 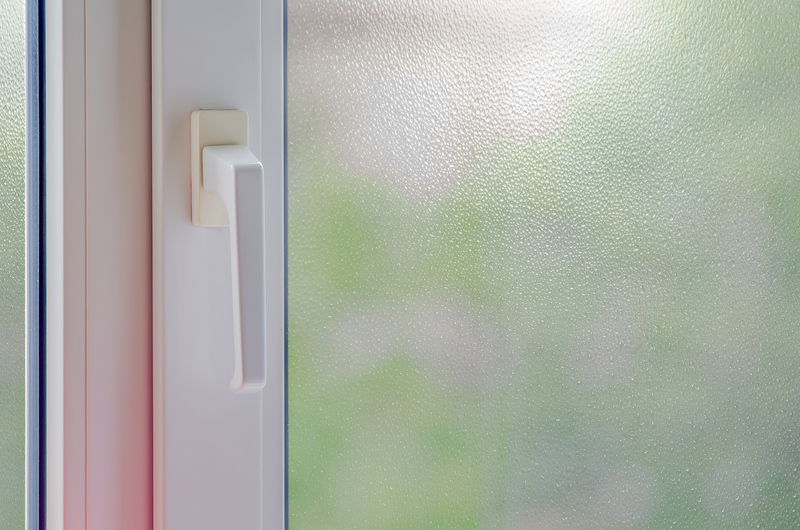 What Is the Ideal Humidity for Your Home? Our bodies respond best when the humidity of the air around us measures between 40 to 50 percent. Thirty percent is generally considered dangerously low, and you’ll start feeling awfully uncomfortable in the 50 to 80 percent range. If you’re concerned about your home’s moisture levels, you can check them yourself using a hydrometer. This little tool looks like a digital clock and will typically give a more accurate readout of your home’s actual temperatures, and tell you the percentage of humidity, as well. Your home’s AC doesn’t just blast chilled air into your home. Most air conditioners actually work as dehumidifiers too, wringing hot air of excess moisture. That makes you feel cooler, even when the temperature isn’t set on 63 degrees. And guess what? When you feel colder, you won’t need to fiddle with the thermostat dial as much—so your AC won’t have to work as hard. Unfortunately, sweaty and damp interiors can lead to other problems as well. Not only will you feel hotter, your electricity bills will probably go up because your unit is working harder to match the temperature on the thermostat. You could also experience problems with mold—or at the very least a damp, musty smell. Not exactly what you want to be greeted with when you come home for the day! Some experts believe that humidity plays a role in your overall health and wellness, too, so it could be an important part of keeping you and your family healthy. Either way, you’ll definitely feel more comfortable overall if the levels are right. If you’re having problems in the summer, have an HVAC professional out to look at your unit. The problem could be that your system is too large or too small for your home. If you have an older unit, it may very well be time to upgrade! Humidity levels tend to suffer the most during the winter. You’ve probably felt it yourself—or seen the effects: static electricity making your pants cling to your legs, or a dry cough that won’t seem to go away, even though you feel fine. Or maybe you’ve just walked into a building and noticed how dry your skin feels. Or you’ve suffered from spontaneous nosebleeds during the drier season. All of these are signs that the humidity in the building is too low. Furnace systems often experience problems with humidity levels because of the combustion process—burning up fuel removes a lot of the water vapor in the air. Because of this, the air in the rest of your home feels cooler than the heated air, so the end result is that you feel like the heat isn’t working as well. And then, if you’re like most people, you turn up that dial—and suffer for it later when you pay your energy bills. 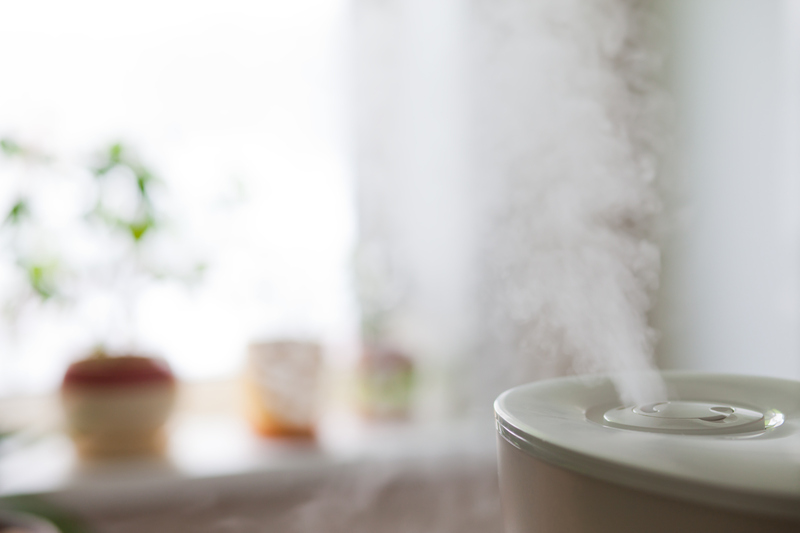 Some people solve humidity problems by purchasing a stand-alone humidifier, but the most effective strategy is to have a contractor install a whole-house humidifier on your home’s HVAC. These are available in several different varieties: drum, flow-through, and misting systems, all with varying levels of effectiveness. Some newer models are even WiFi enabled so that you can control the system with your phone. No matter which unit you decide to purchase, make sure it’s rated to handle a home your size—otherwise it may not work as well as you thought! If you really have questions about your home’s humidity, performing an energy audit may be a good place to start. Humidity can be increased or decreased from other factors in your home as well, including your attic ventilation, the tightness of your home’s building seal, and the presence of air leaks in your doors and windows. An auditor will be able to give your a floor-to-ceiling evaluation so you’ll know what improvements you need, since it’s not always as simple as just buying a humidifier or installing a new AC. Until then, may the air in your home stay comfortable and dry—but not too dry!